The 6th Annual ‘Appetite for Growth Conference’ will this year bring together leading industry figures to discuss how the challenges of Brexit can best be addressed by the local food and drink sector. Delegates will also hear from Groceries Code Adjudicator, Christine Tacon, about how the Groceries Supply Code of Practice is ensuring fairer trading relationships with the major grocery chains. Organised by the Northern Ireland Food and Drink Association (NIFDA) and supported by Bank of Ireland UK and the Department of Agriculture, Environment and Rural Affairs, the free-to-attend Conference will take place at the Montalto Estate in Ballynahinch on Thursday 21st September from 8.00am to 11.30am. The format of the conference has this year been condensed into a morning-only event, and will include a breakfast networking session and Brexit panel discussion with industry experts. The Brexit panel line-up includes NIFDA Chairman Declan Billington, Ulster Farmers’ Union Deputy President, Victor Chestnutt; Bank of Ireland’s Alan Bridle and Tina McKenzie, Staffline Group. Panel discussions will be chaired by well-known business broadcaster, Wendy Austin. “We will be focusing on the most immediate Brexit challenges and how these can best be managed. Already we are seeing the impact of Brexit in terms of the loss of migrant workers. As we approach the end of the year, it is likely that companies will struggle to find the extra labour required to meet increased seasonal demand, so this is something we need to plan for now. Similarly as the value of sterling continues to decrease, companies who are reliant on imports are facing increasing cost pressures, and we need to explore how to mitigate these changes as much as possible. “We are also delighted to welcome Christine Tacon as a keynote speaker to the event. Given that three quarters of the produce we sell is through the UK multiple retailers, it is imperative that local companies are getting the fairest deal possible. The Groceries Code Adjudicator has become an important referee of this vital supplier-retailer relationship, and we have no doubt that our local suppliers will benefit from hearing what she has to say. 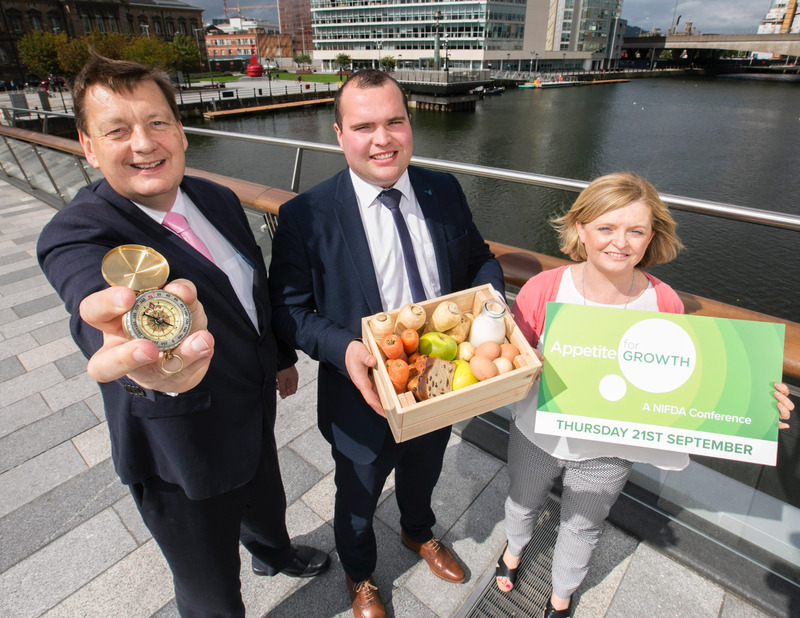 “The Appetite for Growth Conference has become a valuable resource for forward looking food and drink companies over the past five years and we are committed to providing those attending with practical advice which can be directly applied to their business models. This year’s conference will provide local food and drink businesses with the opportunity to take stock of the current situation and plan for a smooth transition during the post-Brexit period, and we would encourage those interested in attending to register as soon as possible,” he concluded.